Sasa Demarle’s bread product line includes trays for the entire bread making process - from proofing through baking. We offer both flexible and rigid molds in all different shapes and sizes, as well as a variety of different coatings. We also provide products which have been adapted to automatic lines for industrial customers. This section is still under development - complete product information will be added soon. Thank you for your patience! 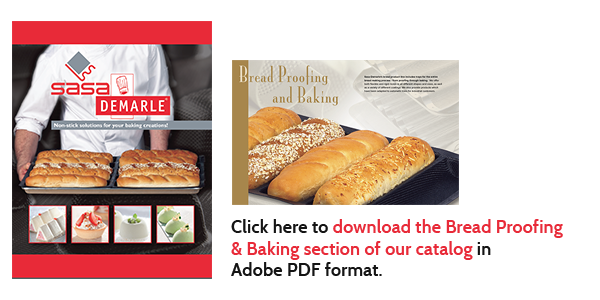 In the meantime, please click on the link below to view the BREAD PROOFING & BAKING section of our new catalog in PDF format. Flexipan® Air - Open Pie 7.06"
Flexipan® Air - Open Pie 8"